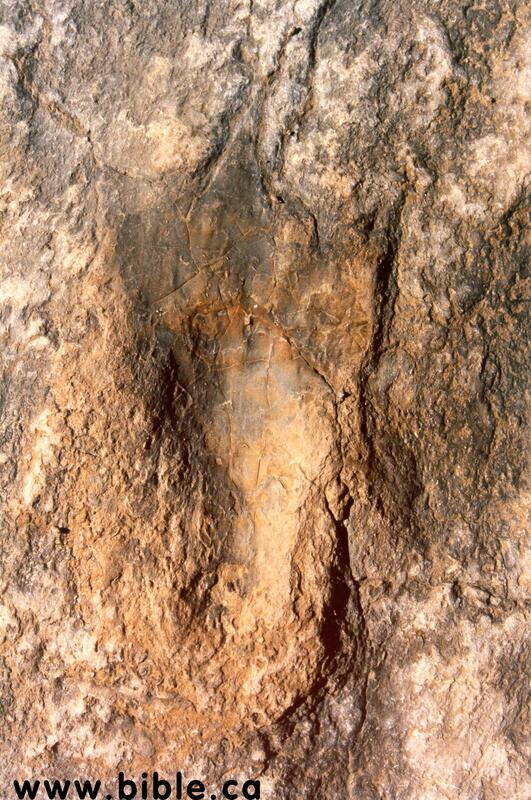 A trail of apparently human fossil footprints in association with dinosaur footprints, was excavated in 1999 in the Paluxy River bed, near Glen Rose, Texas. This new trail on the Upper Taylor Platform, called the McFall Trail, begins about twenty five meters upstream from the Taylor Trail (excavated in the early 70's) and trends in the same direction, offset a couple of meters to the left. 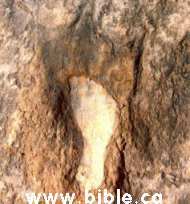 It ends where two "perfect human footprints," according to Emmit McFall, were cut out by he and the Wilson brothers in the 1940's. 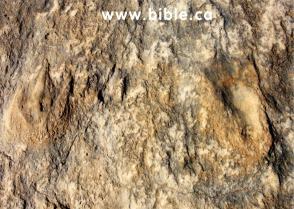 Originally, lime mud similar to wet concrete, washed over dinosaur tracks and filled them. 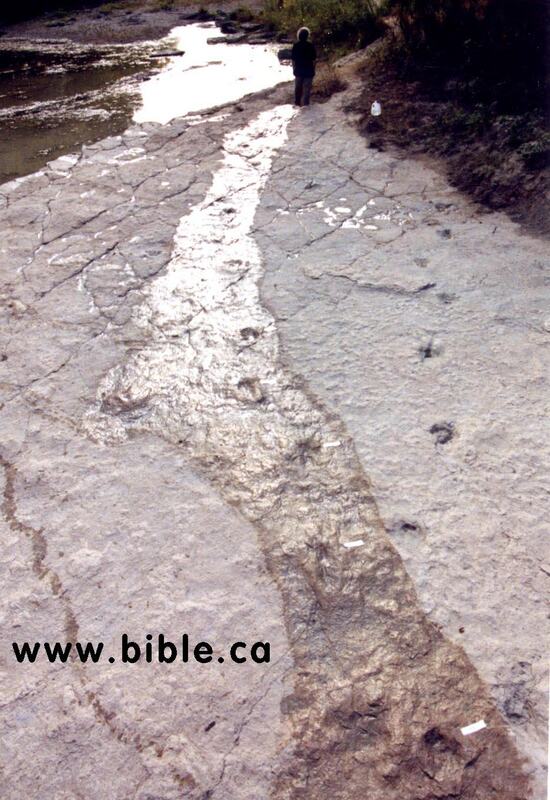 After the dinosaur tracks were filled, a second set of tracks was made, mostly within the infilled dinosaur tracks. 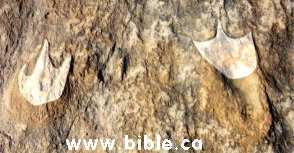 It all hardened into rock which has now been exposed by erosion. 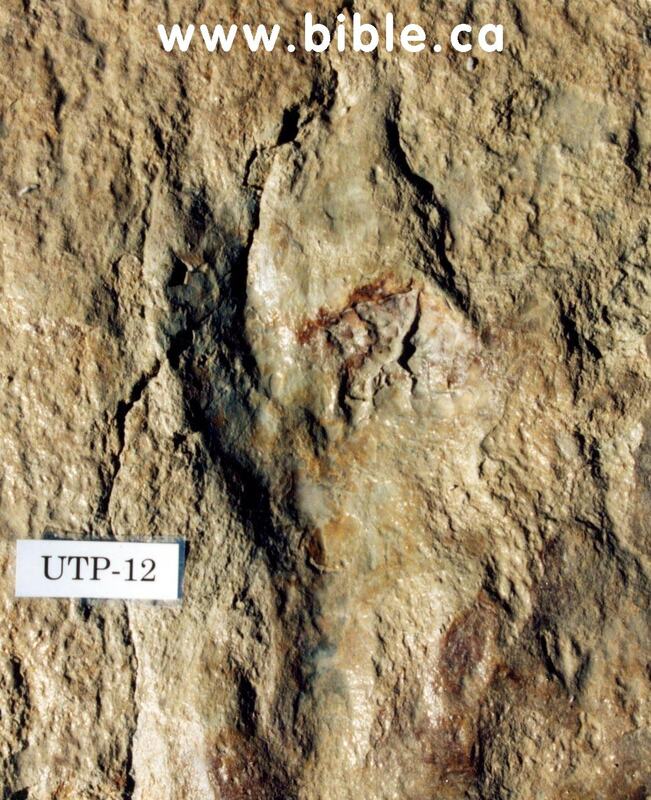 The material which filled the dinosaur tracks was more resistant. This differential erosion explains the slightly raised dinosaur tracks. Track #4 within dinosaur track with another dinosaur track on the left. Spectacular Track #4 close-up displays all five toes, instep and heel, surrounded by dramatic "mud push-up" typical of real footprints, but not erosion. 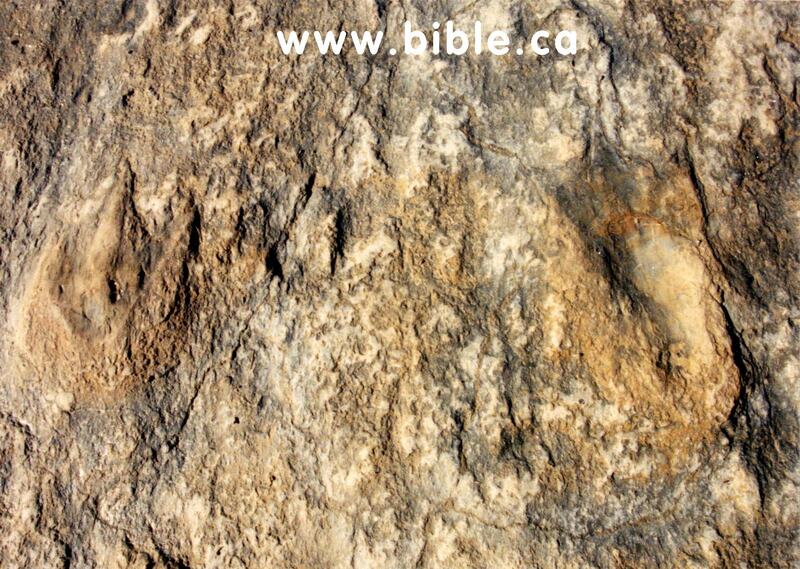 The depressed print extends into a slightly raised dinosaur track similar to the one just inches to the left. 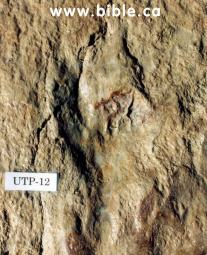 This sequence of tracks displays a right-left pattern and is consistent in length (about 10"). Track #12 of the 15 track human series, is depressed within a slightly raised dinosaur track which is cocked at a slightly different angle. 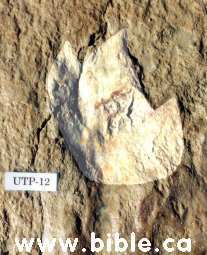 When the foot was pulled out of the infill material, suction left peaked ridges at the front of the human shape, that would not be produced by erosion.